Rogue is now long enough to fit Phoenix’s winter coat. She is still swimming in it girth and chest wise, but she fits it a little nicer than Cessna does, who is about an inch not as long as Rogue. It makes me sad to see the coat on someone else, but I know Phoenix wouldn’t mind. Or just a convenient pillow? Even though I’m a “Working Stiff”, Mommy says I fit much better into the “Cracker Critter” category. So, for those who do not know me, my name is Cessna and I am Mommy’s guide dog, which explains how I also fit into the “Working Stiff” category. But, I am not like every other guide dog. Most guide dogs take their job really seriously, and know how to ignore distractions around them, such as squirrels, birds and other dogs, but not me. I keep Mommy safe, but I also like to have fun and think chasing squirrels should be in my job description! Here are a couple examples to illustrate why Mommy thinks I am a Cracker Critter…I’ll let you be the judge. One day Mommy and I were walking to one of her classes and I was being a good girl. For most of the walk we were walking pretty quick, but then I slowed down a bit. Mommy thought there might be some ice, so was really proud of me. In fact, we had come along side a field, and I slowed down (I had to make sure my bell didn’t jingle) to get real close to some unsuspecting Canada Geese. As soon as I was right beside them…I let out a “WOOF!” and the entire flock of geese took flight! Mommy says I was jumping around like a fool! I personally think she just doesn’t realize what she’s missing out on – don’t you? About a year ago, Mommy’s friend invited us on a trip to Marineland. For those who don’t know, Marineland is a sort of aquatic theme park where they not only have rides and games, but also different sea creatures! Well…of course Mommy and Daddy said we’d love to join the group. The first exhibit we saw, was the sea lions. We had to sit through a show *yawn* where some woman got the sea lions to do different tricks. I had so much trouble sitting still and even though Mommy told me to stay quiet, I kept letting out little “Woofs!” and whining at the top of my lungs! I wanted to go play with the sea lions, but Mommy wouldn’t let me! When the show was all over, Mommy and I went underground and I got to watch the sea lions swim around the big pool. I really wanted to go play with them though so kept putting my paws up on the glass. Mommy just stood there laughing! But, then…one of the sea lions came over and scared me! And what did Mommy do? She laughed even harder!! Next we walked over to the whale area and I got to watch the killer whales swim and splash the crowd. This was so, so, so cool! I of course couldn’t control myself! Mommy held my leash really tight so I couldn’t jump into the water with the whales – what’s her deal? At the end of our trip though, we walked through the deer enclosure and I was so scared! There were like a million deer and they all seemed to want to eat me! As you can see, I’m not like every other guide dog. 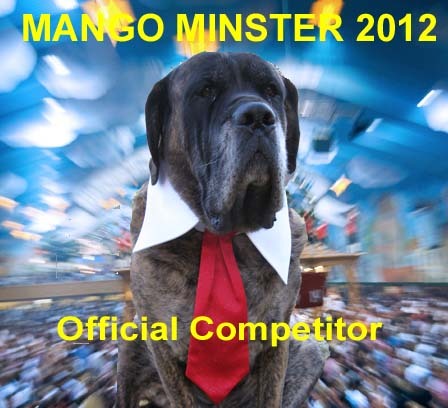 This is Cessna’s submission for the Mango Minster 2012 Cracker Critter category. Dave Hingsburger of Rolling Around In My Head, would like to start an annual event and has asked his readers to spread the word. 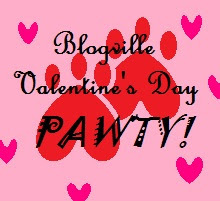 So, without further a due, I would like the readers of ruled by paws to help me help Dave in his quest to make January 23rd, 2012, the first annual ‘INTERNATIONAL DAY OF MOURNING AND MEMORY OF THE LIVES OF PEOPLE WITH DISABILITIES!